Review your price. AZ Defensive Driving by Safe2Drive guarantees the lowest price. Call us if you find one lower. Create a username and password. You use these credentials to log in and out of the website. You did not have a commercial driver's license. Important: The "Welcome Back" page does not refresh itself. Please refresh your browser if you do not see the eligibility alert. Send a copy of my citation? Take a picture and email it to us. Take the picture head on. The State of Arizona requires that you finish the course seven days prior to court date. State Fee: An administrative fee for giving you the privilege of taking defensive driving. Please note, due to a recent law change (HB 2527), students who receive a ticket on or after January 1, 2019 will be charged a state fee of $24. Students who received a ticket before January 1, 2019 will be charged a state fee of $20. The state surcharge is $45. Court Fee: Another administrative fee. We pay your court fee directly to the Court Clerk. There is no final exam in our course. Once you complete the last lesson quiz, pass the last identity verification question, and fill out the course evaluation form, you're done! Our online exam consists of multiple-choice questions and requires about 15-20 minutes. All schools are required to verify your identity at the time you take the exam. Take the exam at home? You may take exam online in the convenience of your own home. Don't worry, we have prepared a study sheet for you to review so you can do well on the exam. We want you to be successful! I send the certificate to court? 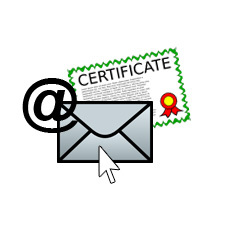 You are encouraged to contact the Court to see if you need to mail the hard copy of your certificate to them. 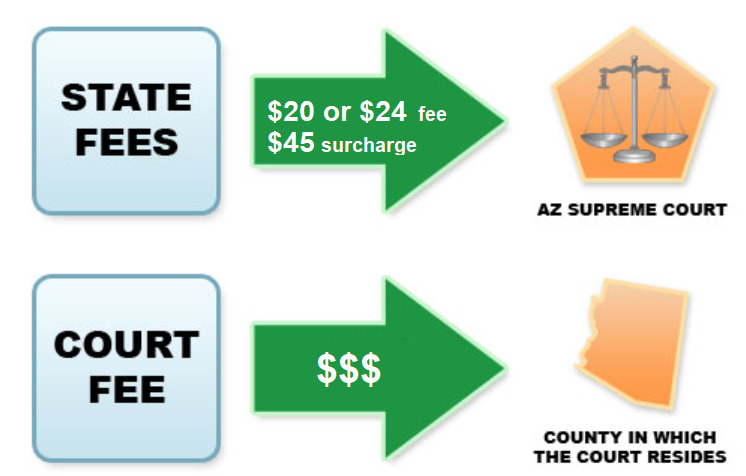 AZ Defensive Driving by Safe2Drive notifies the court? 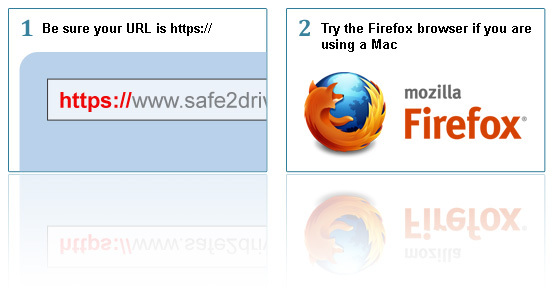 AZ Defensive Driving by Safe2Drive is required to notify your court electronically of your course completion. We also forward your Diversion Fees to your court. Please allow the court ample time to process your course completion. Important: Your court goes by your completion date, not the date they process your completion. 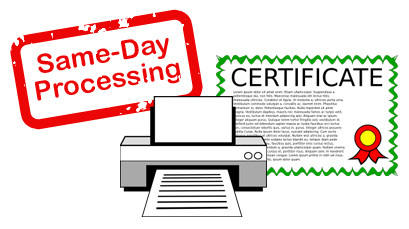 You can print a copy of your Receipt of Completion for your records after you complete the course. For your convenience, AZ Defensive Driving by Safe2Drive is approved by the Arizona Supreme Court to email you your Certificate of Completion! Same as Traffic Survival School?